Do you want to shortlist your favorite products in snapdeal?. 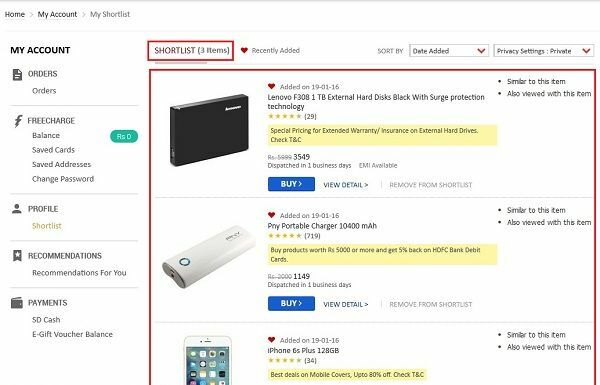 Snapdeal provides you a feature named as “My Shortlist”. 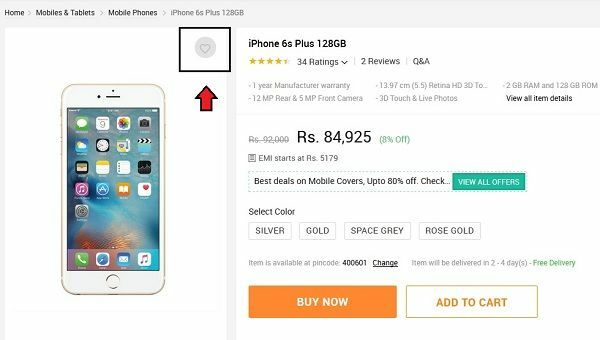 In this feature, you can shortlist any product that you want to compare or buy in the near future. It is always recommended to mark shortlist to your favorite product so that in the next time when you wish to refer something useful, you just need to open “My shortlist” section. 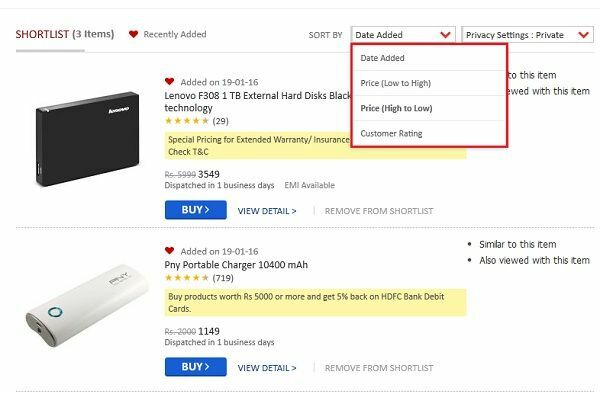 Just have a glance at this article to know how to shortlist your snapdeal products. Step 1: First go to snapdeal official website ”www.snapdeal.com” and then click on “Login” button. Step 2: In the next step you need to enter your mobile number or email address combined with your snapdeal password. Step 3: Now, select any product which you want to shortlist. You may see a heart shape sign as marked in the image below. Just click that sign to save your product in your list. 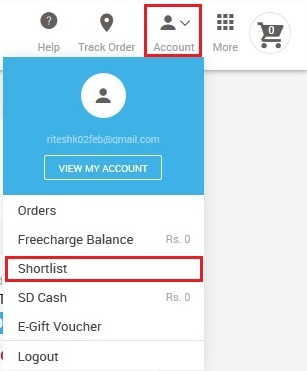 Step 4: As soon as you clicked that sign, you may see a message saying “Your Item has been added to shortlist.” From here only, you can click on “View all” button to see all your shortlisted products. Step 5: You can also go to your account tab and then click on “Shortlist” option as shown in the image below. Step 6: Finally, you may see a list of your favorite products as shown in the image below. Step 7: You can also sort your list by using “Sort By” option to sort your list according to date added, Price (Low to high / High to low) and Customer ratings.